Cornwell is also probably one of the most romantic places to get married in Southern England, a unique Cotswold estate that you can be lord or lady of the manor for your day or longer stay. But whatever the reason for staying at Cornwell you have the services of our live-in housekeeper who will light the open fires for you on a chilly day, take care of any laundry etc; and our live-in cooked who will rustle up a snack after a tiring game of tennis or prepare a three course dinner party. Use the drop down button – ∇ – above to read more about the house, gardens, estate and wedding options; and click on the video button to see a recent wedding at Cornwell. Cornwell Manor, with it’s perfectly proportioned elegant façade, is set in a valley with an ornate Italian garden and lakes beyond. and according to House & Garden, ‘The house stands in one of the beautiful areas of the Oxfordshire Gloucestershire border’. Cornwell Manor, and the surrounding privately owned Hamlet and 2,000 acre estate is located near Chipping Norton in Oxfordshire; within easy reach of Heathrow, London and Oxford. Although close to an increasing number of visitor attractions and events, such as the Daylesford Organic farm, shop and spa, the Cornbury music festival, Wilderness, Soho House at Great Tew, Cornwell is a very tranquil location. Cornwell can be hired with or without the overnight accommodation. The bedroom accommodation is as follows: 6 prime first floor bedrooms, (4 ensuite), 3 second floor bedrooms, shared bathrooms & 3 nursery wing bedrooms, 1 ensuite. All rooms, bar one single, have double beds and the house sleeps a maximum of 24 including the Nursery Wing. Please note the dining rooms seats 16 however the Ballroom can be laid out to dine all those staying overnight. Shallow steps, surrounded by box hedges and ornate urns lead into the main entrance hall, in the classic English Country style, with stone floor and 18th Century fireplace. In particular with the fire light, the Hall is a welcoming room after a day out in the countryside, perfect for afternoon tea, and can also be used for larger dinner, or drinks parties. Next door, the drawing room has an Adam-style chimneypiece and Rococo plasterwork and aubusson carpet. Above the fireplace is a family portrait of Rachel, Countess of Dudley and her son Roderick Ward. It is a pretty room, with wonderful views of the garden during the day, and a glamorous atmosphere in the evening, and guests can play backgammon on the games table in the corner. The dining room ,with it’s original Jacobean paneling, is the oldest room in the house. The paneling gives the room a warmth which large dining rooms often lack. The table seats 16, so is perfect for intimate dinner parties and family Sunday lunches. Connecting the dining room and Hall is the inner staircase hall. The Georgian open-well staircase is surrounded by family portraits and busts, the main ones being a larger than life portraits of the First Earl and Countess of Dudley. The Ballroom – added to the house in the 1930s – has a large sprung floor which can accommodate 150 people. Ideal for larger dinners, parties, Christenings, we have chosen this room as one of our civil wedding location. The guest bedrooms upstairs benefit from a spectacular view over formal lakes and of the surrounding Cotswold countryside. The blue bedroom is dominated by a magnificent Regency carved bed, with furniture from the family home of Himley, (near Dudley in the English Midlands). Next door, a light yellow bedroom with four poster bed, and comfortable sitting area, and en-suite bathroom, is a great favourite with lady visitors. The owner’s bedroom looks out over the lakes, and has been recently redecorated in a modern French style, with soft blue walls, a large cupboard, (with hidden television), and bed and sofa covered in pretty fabrics from India. There is a large modern bathroom with walk in shower. Adjoining is a dressing room with equally spectacular views. The Attic floor above has three more bedrooms with bathrooms. To the east of the house there is a terrace and formal Italian style garden leading to the Ha Ha. It is an ideal spot for outside drinks and meals. In front of the house, is a Croquet lawn which leads to a Ha Ha and waterfall. The design is Clough Williams-Ellis, who terraced the valley, canalising the sparkling never ending spring fed stream into and through artificial pools, cascades and classical bridges. Guests can play croquet here and trout fishing is available in the lakes overlooked by the house. At the back of the house is a wall enclosed triangular pool garden, with ornate hedges and views of the dovecot and stables. The pool house has a Sauna, bar, shower and bathroom. From here, you can enter the huge kitchen walled-garden through a heavy wrought iron gate. The garden has numerous pear, apple and plum trees and vegetables planted to supply the house throughout the year. In addition to the formal garden there are beautiful walks through the substantial surrounding park and woodlands and estate beyond. The private hamlet of Cornwell also contains a number of listed buildings. At the heart of the estate is the hamlet of Cornwell, an un-modernised medieval village that is can be traced back to the doomsday book. There is a small canal running through the village and a playground for the children. The small Norman church is a short distance from the Manor house and village, is easy to miss under a canopy of trees. There are services there once a month, and it is used for christenings, weddings and funerals. The harvest festival is a big annual event for the village, still very much a farming community. Cornwell is a working estate, with a mixed farming enterprise, including arable, cattle and sheep. Alexander Ward, is a keen ornithologist and together with Natural England has created a large number of bird friendly environments, including two wetlands areas. Cornwell is now home to nesting lapwings, grey-lag geese, swans, and game birds such as pheasants and partridges. There are deer, hares and recently otters have been reestablished. Cornwell Estate is a 200- 250 bird shoot. There is limited availability for private hire with guests staying at the Manor House. Cornwell is probably one of the most romantic places to get married in Southern England and the bliss is that you will have Cornwell all to yourself. Cornwell Parish Church is truly rural wonderful place to get married. It accommodates 80 guests and has such a special atmosphere when it is filled with guests and flowers. It is necessary to have connection with the Parish to get married here, or attend some services in the run up to the wedding. However, it is possible to have a blessing without being considered a resident. The Ballroom is a spectacular room for a civil wedding ceremony and can accommodate 100 people. It is possible to put up a marquee in the adjourning garden for your reception afterwards. Making the whole area a seemless location. You could get married in the middle of the countryside, which is becoming increasingly popular. Cornwell would be an ideal place to do this. If you wish to give a bigger party, a marquee in the garden outside the house is a unforgettable location. With the Manor house as a backdrop and looking out over the ha ha to the lakes, this is your rural idyll. Choose a classic English Marquee, an India Rajasthani tent or a Kata Tipi tent from Scandinavia, to create the atmosphere you want. 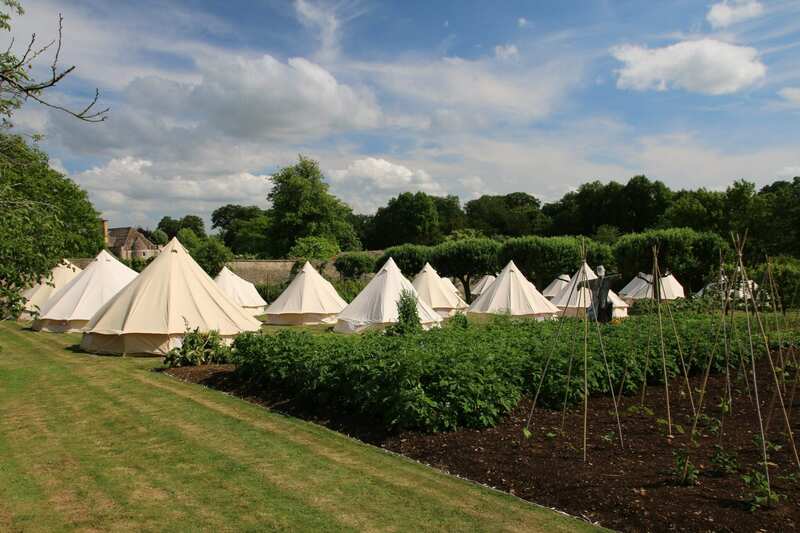 We have a list of well trusted suppliers of wonderful marquees, top quality caterers , flowers and we can provide you with a list of fantastic suppliers. If the whole thing seems overwhelming we can offer you the services of our in house wedding planner.